Halesowen Town FC: Will They Struggle Without Star Striker Haseley? As Halesowen go into the next three games without their top goalscorer Ben Haseley, will they struggle in their upcoming league encounters? Haseley has twenty two goals in all competitions already this season, and he is miles ahead of the second top goalscorer for the Yeltz – Iyseden Christie with five in all competitions – and has scored 13 out of 30 goals in the league this season. So, with other strikers Christie and Nigel Penney only scoring 6 between them in all competitions, Halesowen will need to a find a goalscorer to fill the gap, and fast. After their first game without Haseley against mid-table side Newcastle Town resulted in a 2-1 defeat, it was obvious that the Yeltz were missing something in their build-up play – and that was for someone to poke the ball into the net. Even though Christie did grab a goal (though it wasn’t from a build-up of play), Halesowen in general needed someone to finish the build-up play as Halesowen could have claimed three points by half time with the amount of chances that went amiss, because of the lack of a goalscorer. However, the fixture list has been kind to the Yeltz, as they face the basement boys of the league, Kidsgrove Athletic and Bedworth United on Tuesday and Saturday, but the real test will be the long trip north to Scarborough who have ex-Birmingham player Brian Hughes in their ranks and have been known to play some of the best attacking football in the non-league pyramid, even though their position in the league at the moment doesn’t seem to back that claim. However, Halesowen do have some options to see if that gap can be filled, as Danny Waldron, a product of the Yeltz’s youth system, has scored 9 goals this season for the U18s, but this is a huge step up and with two appearances to his name already, he hasn’t showed that he is ready for this division yet, but experience will help him improve and this situation is a perfect opportunity for him. So, maybe with the ‘possible’ luck of the fixtures, Halesowen might not miss the strike force of Ben Haseley, but they will need to find someone to ‘temporarily’ fill that gap, or otherwise, Halesowen will struggle. 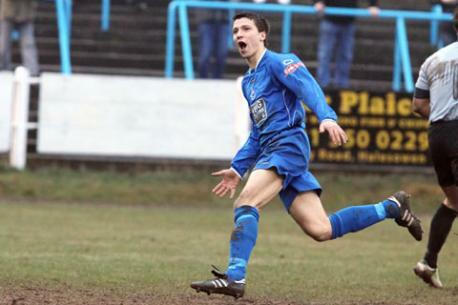 Posted on November 11, 2013, in UTL Archive and tagged Ben Haseley, Halesowen Town FC. Bookmark the permalink. Leave a comment.